Though I’m not much of a telephone caller, I must admit that I really appreciate the ability to make and receive phone calls from my helmet with my Sena headset. Sometimes I’ll be standing on the side of the road doing very important things and I’ll receive a call from home that would have otherwise gone unanswered for hours. Where else would I be on a sunny Saturday morning? He’s so ridiculous sometimes. 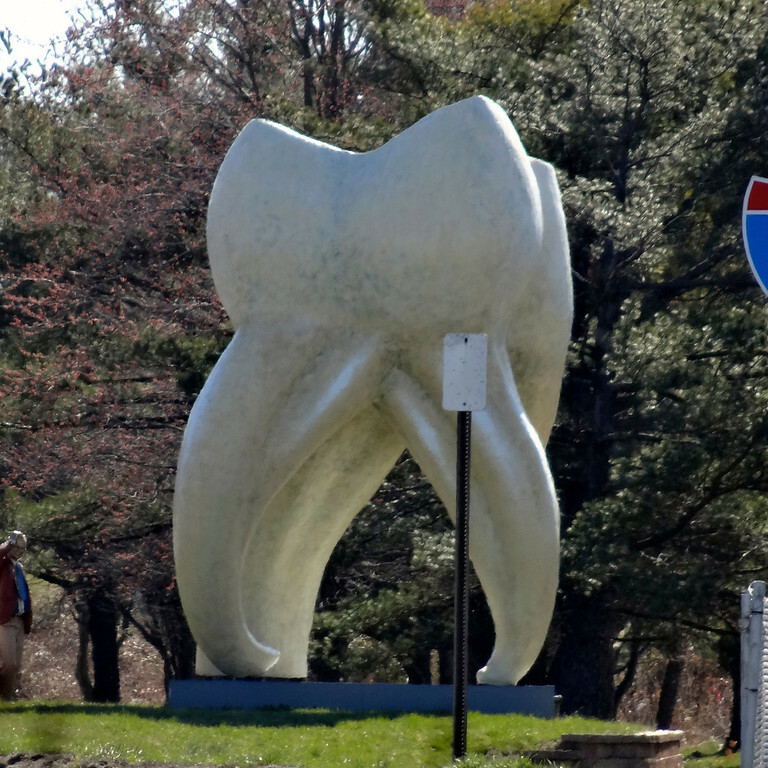 By the way – did I mention, that’s one big molar? Nice to see I was not the only one that found a giant molar! Still though, how can I compete against the juggernaut that is Fuzzy? It isn’t me you’re competing against. It’s you. I hope you’ve been having fun doing the Rally. I pretty much only get to ride a multi-hour ride on one day of the weekend so I spend a lot of time digitally exploring for that one day. Have you got anything on your ‘must-see list’ that you’re excited about? Oh I’m just teasing you. I would like to have a top 25 finish but I’m not going to lose sleep over it if I don’t. That’s a tough question…sadly my search has turned up a lot of low-point items but there a lot of things that may be difficult. The nearest covered bridge is in Disney for example. That’s in Disney, not outside the park, so getting my bike in might be difficult. The nearest Presidential Library is in Atlanta, outside of my riding range.